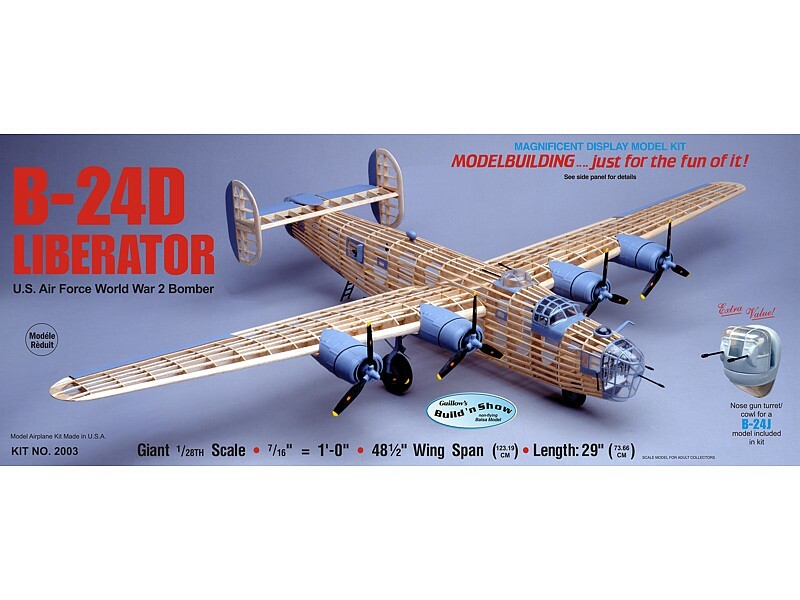 The B-24 Liberator was built in greater quantities than any other U.S. bomber of World War 2. The prototype model was produced by the Consolidated Aircraft Corp. with the first XB-24 taking to the air on Dec. 29, 1939. It featured the revolutionary Davis wing design that enabled the B-24 to carry the same payload as its rival the Boeing B-17 Flying Fortress but at a much greater speed and range. Over 18,000 Liberators were built during the war. Of all the European operations in which B-24s were involved, the initial raid on the Ploesti oil refinery in southern Romania on Aug. 1, 1943 was by far the most dramatic because it was heavily defended by anti-aircraft guns as well as squadrons of German Luftwaffe and Royal Rumanian Air Force Fighters. Of the 164 B-24s engaged, 53 were shot down or lost enroute, 23 were forced down and only 88 returned to base. “Jerk’s Natural”, the subject of this kit, was a Ploesti bomb group survivor. THIS IS A DISPLAY MODEL ONLY. NOT DESIGNED FOR FLIGHT.